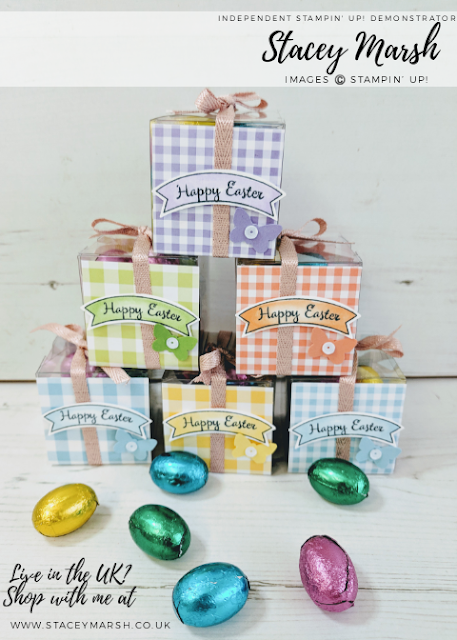 Yesterday was our Spring Creative Stampin' Day here in Rainham, Kent and what fun we had! 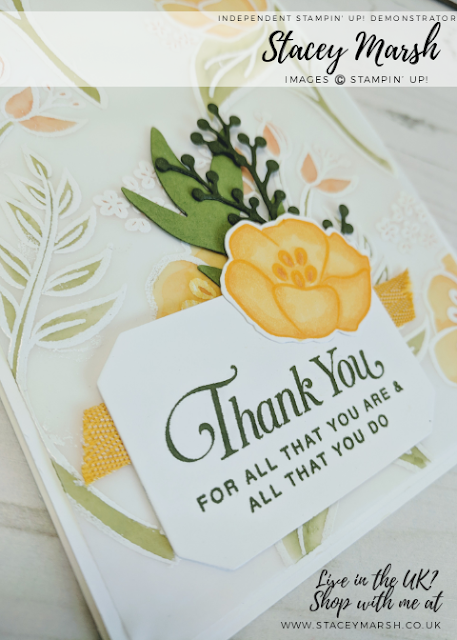 24 ladies in one sunny room, having fun with stamps, ink and paper and creating beautiful projects myself, and two of my team put together! Everyone who attended was given a goodie bag full of product to use throughout the day and take home with them. 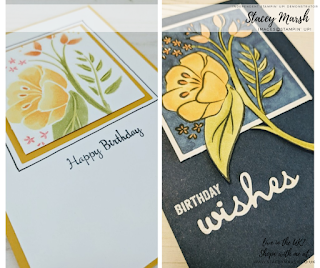 We chose to give everyone the Bloom by Bloom stamp set and I was in charge of putting together the cards for the day. Today is the first of 4 cards that I put together, and my personal favourite! It's nice to do something a bit different every now and again and this is a simple gate fold card that is really effective and has a bit of wow to it! The card base measures 5, 3/4" x 8", and is scored along the 8" side at 2" and 6". The sides are then folded into the middle to create the gate fold. SIMPLE! I have added to the front two panels, two pieces of Whisper White cardstock that has been stamped in Call Me Clover and Lovely Lipstick. These measure 3, 7/8" x 5, 5/8". Inside the card, I have added a piece of Whipser White cardstock that measures 3, 3/4" x 5, 1/2". 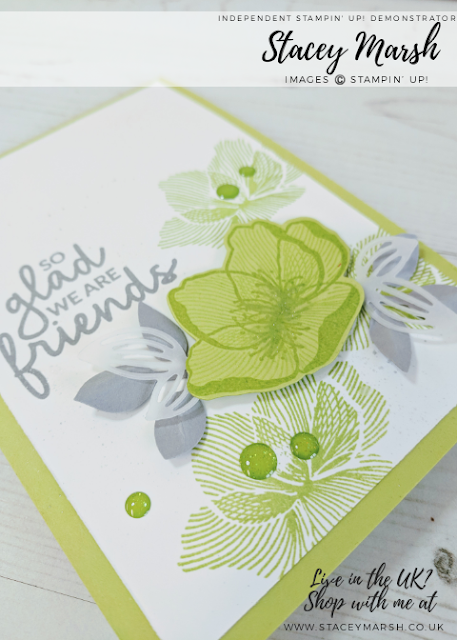 I have added some stamping and included a sentiment from the Amazing Life stamp set. To help keep the card folded, I have created a "belly band" with a strip of Lovely Lipstick cardstock that measures 2" x 9.5". This has been folded around the card when closed (not too tightly) and glued to create a band. 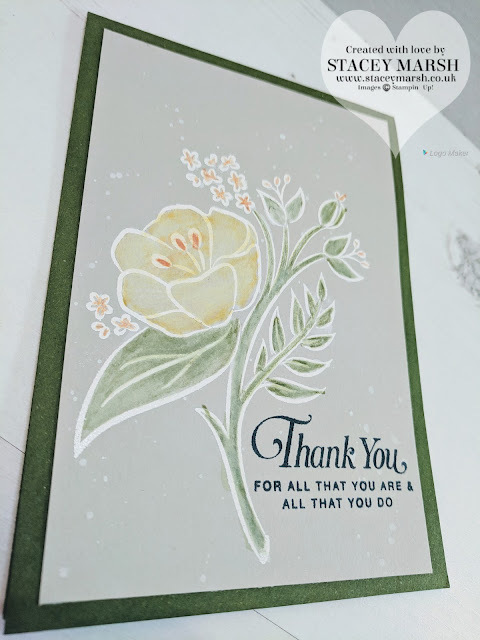 To decorate, I have added a small strip of Call Me Clover cardstock with a large scalloped circle from the Layering Circle Dies and a Whisper White circle that has been cut using the 2.5" circle punch. 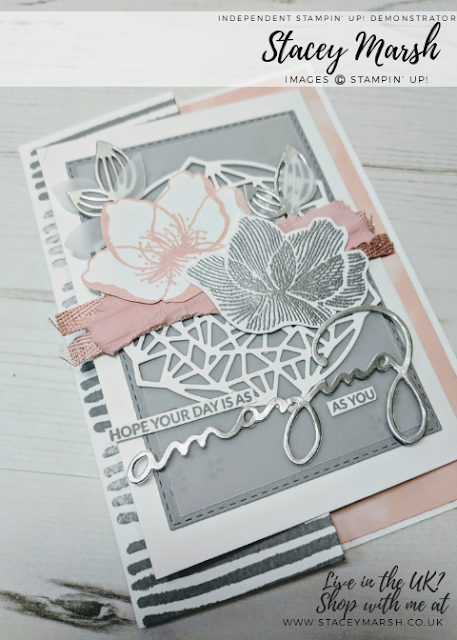 I have added a hand-cut flower, some stamping and that beautiful die-cit "Celebrate". Not forgetting the envelope of course, I have added the same stamped flower design that is inside the card!